Strawberries are otherwise known as garden strawberries are a fruit that is widely known for its characteristic smell, colour, and texture. It is eaten in large amounts either fresh or in prepared foods such as pies, ice cream, milkshakes, chocolates, fruit juice, and preserves. It is known as being one of the most popular fruits in the world and is consumed in all kinds of civilisations around the world. So can rabbits eat Strawberries at all? Lets take a look here and find out more, in particular their acidic content, phosphorus, sugar, sodium, fat, and fibre content. As you can see strawberries are quite acidic and do contain quite a bit of sugar but only a hint of phosphorus and calcium. This means that rabbits can eat strawberries, but keep them limited due to the sugar and acidic content. One to two strawberries a few times a week will suffice. Can rabbits eat strawberry leaves? Yes they can eat strawberry leaves. They are just fine for rabbits to eat. Can rabbits eat strawberry plants? Yes rabbits can eat strawberry plants and they are good for rabbits to eat. 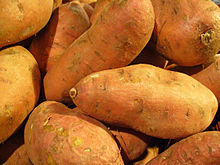 Sweet potato is a vegetable that is large, starchy and sweet tasting. It is a root vegetable that has young leaves and shoots that are sometimes eaten as greens. It is only distantly related to the potato. So can rabbits eat sweet potatoes at all? Let’s take a look at its nutritional data in particular its sugar, fat, fibre, sodium, phosphorus, and acidic content. As you can see sweet potatoes contain quite a large amount of phosphorus, a hint of calcium, a very large amount of acidic content and a hint of fat and a little sugar. This means that unfortunately rabbits can’t eat sweet potatoes. It is just too acidic for their tummies and will hurt them if it is eaten. It also means that they cant eat their skin and peelings as well. Raspberries are an edible fruit from the plant species in the genus Rubis of the rose family. They are a perennial fruit that has woody stems. They are grown for the fresh fruit market and for commercial uses where they are individually quick frozen, puréed, juiced, or as-dried. They were a midsummer crop but are now grown all year round. So can rabbits eat raspberries at all? Let’s take a look at their nutritional data, in particular their fat, fibre, sugar, calcium, phosphorus, sodium and acidic content. As you can see raspberries contain a little phosphorus, calcium, have quite a bit of acidic content, sugar, fibre, and a hint of fat. This means that rabbits can eat raspberries. A few a week will be more than sufficient for them but make sure that they don’t eat too much because of their acidic content. So if they can eat raspberries what about other parts of the growth of raspberry. Can rabbits eat raspberry leaves? Yes rabbits can eat raspberry leaves, they are fine for them to eat. They have very good astringent properties. Can rabbits eat raspberry canes? Yes they can eat raspberry canes although they may not find them particularly tasty. Can rabbits eat frozen raspberries? Unfortunately, they cant eat frozen raspberries and much prefer them raw. They just cant eat them frozen. Can rabbits eat raspberry plants and bushes? They can eat raspberry plants and bushes as they are perfectly fine for them to eat. Just bear in mind how much they eat as they may eat a lot of it which may hurt their tummies if they have too much. Can rabbits eat black raspberries? Black raspberries are native to north america and is closely related to the Western European raspberry. Its other names are the wild black raspberry, black caps, black cap raspberry, thimbleberry, and scotch cap. They have a unique flavour which is quite different to the raspberries described above however, this is the only nutritional information I could find about them. They do describe them as being rich in Ellagic acid which is not good for bunnies so would only give them one at the very most. Im also keen to know how much sugar they have in them. Can Rabbits eat Red Currants? 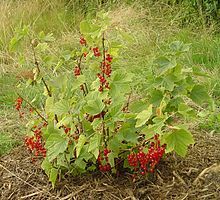 Red currants are a red translucent edible berry measuring about 8 – 12 mm. 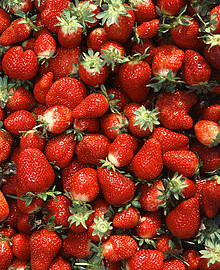 They come in bunches called racemes and there are between 3 – 10 berries per raceme. They are from the gooseberry family native to parts of Western Europe. So can rabbits eat red currants at all? As you can see red currants contain quite a bit of phosphorus, a hint of calcium, a little acidic content, a lot of sugar, a little fat and a hint of fat. This means that rabbits can eat red currants but only a few a week as they are quite sweet and too many will hurt their tummies. They are able to eat the leaves of red currants though. 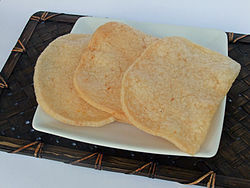 Prawn crackers are made from starch and prawn and deep fried. They are a popular snack in parts of southeast asia and east asia and are not sold all across the world in chinese take aways and restaurants not to mention now in supermarkets and grocery stores. They are also popularly home made as well. So can rabbits eat prawn crackers at all? Unfortunately, rabbits can eat them at all. They are just too fatty for rabbits to eat and they will hurt their stomach if they have too much of them. If they do nibble on one then they should be okay but nothing more than a nibble. Oregano is a herb that is used in culinary dishes. It is well received in culinary dishes with lamb, aubergine and tomatoes as well as many other dishes. It is found in warm temperate western and southwestern Eurasia and the Mediterranean regions and is a perennial herb that grows from 20-80cm tall with opposite leaves that measure between 1-4cm long. 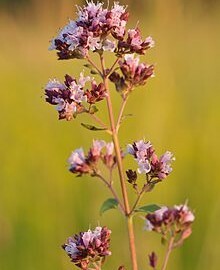 It is sometimes called wild marjoram. So can rabbits eat oregano at all? Lets take a look at their nutritional data and find out more. In particular, their acidic, sugar, fat, fibre, phosphorus, and sodium content are of most interest as far as bunnies are concerned. As you can see oregano contains a huge amount of calcium. For this reason, it isnt worth considering any other nutrient as the calcium content means that oregano is so bad for rabbits it is practically lethal for them to consume. So do keep oregano away from bunnies as much as possible. 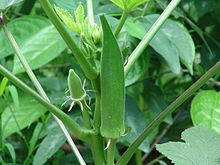 Okra is known as ladies fingers, bhindi, bamia, ochro or gumbo, and is a flowering plant in the mallow family. It is renown for its edible green seed pods and is cultivated in tropical, subtropical and warm temperate regions around the world. So can rabbits eat okra at all? Lets take a look by checking out its nutritional data, in particular its calcium, sugar, acidic content, phosphorus, fat, fibre and sodium content. As you can see okra contains a lot of calcium and acidic content and a hint of fibre and sugar. This means that it is pretty bad unfortunately for bunnies and will harm them if it is eaten. This is disappointing as it does have some sweet looking leaves but its calcium and acids are bad news for rabbits. If they nibble at it, they will be fine but they shouldnt have any more than that. 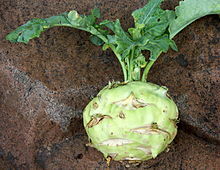 Kohlrabi is otherwise known as german turnip or turnip cabbage and is an annual vegetable which is eaten either raw or cooked. So can rabbits eat Kohlrabi at all? Lets take a look at its nutritional data and find out more about it. In particular we are interested in its sodium, sugar, phosphorus, acidic content, fat, fibre and phosphorus content. As you can see kohlrabi contains a lot of phosphorus, a hint of sodium, calcium, and a little sugar, fat and acidic content. This means that rabbits can eat kohlrabi but only a little of due to its high phosphorus content. Once a week in small amounts should be quite sufficient for them but nothing more than that as it could pose problems for them if they eat too much of it. Their greens are the best part of it to eat. The stem is ok to eat but they will love the leaves. Mangos are a stone fruit with juicy flesh. They are native to south and south east asia but has now been distributed worldwide and is one of the most cultivated fruits in the tropics. It is eaten either raw or it is processed into cans and as a fruit it is enjoyed around the world and renown for its sweetness and refreshing taste. So can rabbits eat mango at all? Lets take a look at its nutritional data, in particular its sugar, calcium, fat, sodium, fibre, and acidic content are of particular interest. The reason we look at the nutritional data is that it enables us to really see what a food contains and to analyse its nutritional properties for ourselves without relying on false information. As you can see mango contains a hint of calcium, phosphorus, but a lot of acidic content, and is of course very sweet containing quite a bit of sugar. This means mango is not very good for rabbits to eat. Its acidic and sugar content will harm the rabbits and cause them to get diarrhoea. They do not digest sugar very well and can only manage it in very small amounts. It is fine for them to have a little nibble on but nothing more than that, and it should not be fed to rabbits as a primary food. What about the other parts of the mango. Can rabbits eat those? The skin of the mango is fine for them to nibble on, however the stone from the mango is not good at all for rabbits to eat and should be avoided. Can Rabbits eat dried mango? Unfortunately rabbits cannot eat dried mango at all. They cannot take the sugary nature of dried fruits and eating them will harm the rabbit even more than eating raw mango. So it is even worse for them to eat and best avoided as a rabbit food.